In 2016, Germany had a trade surplus of USD 280 billion while USA completed the year with a trade deficit of USD 740 billion irrespective of the fact that US exported weapons worth USD 300 billion to other countries. 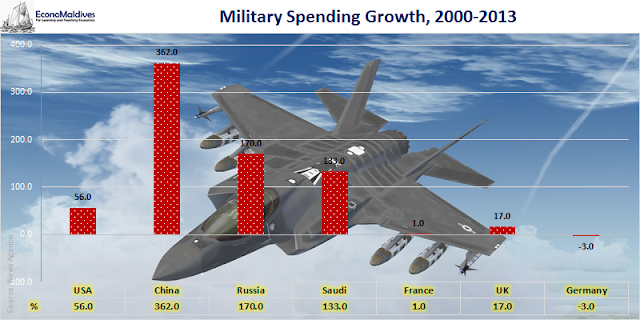 In the last dozen of years, China increased its military spending by 362 percent and US continued its military spending above half a Trillion dollars. But, Germany reduced its military spending as globalization and international relations allow countries to switch from defence to progress. In most aspects, German economy is performing better than all European economies.